Back again with an explosion box with 'wedding anniversary' theme. Started it in vintage colours, n i guess ther is atleast some justice done here. My first try @ anything vintage, learned a lot in this process (n the first thing was, invest in some craft goods). Added a rossette to the top, look @ the button, love it. i have distressed all the papers with vintage photo. Shown below are some of the panels in box, embellished it in vintagey colours as far as i could. Beautiful one.. Love the rose .Is it handmade? lovely box sujana....loved that gift box n neatly made rossette...grt work. very lovely box, Sujana, love the flower!! It looks very elegant Sujana !I loved the way you have decorated the flaps ! Sujana.....this is excellent....really good...loved the whole look!! This is so lovely.I think you did complete justice to the vintage theme.All the flaps and the little box inside are so beautifully done.Great job.Thanks for playing along with Crafters corner challenge #11.Best of luck. 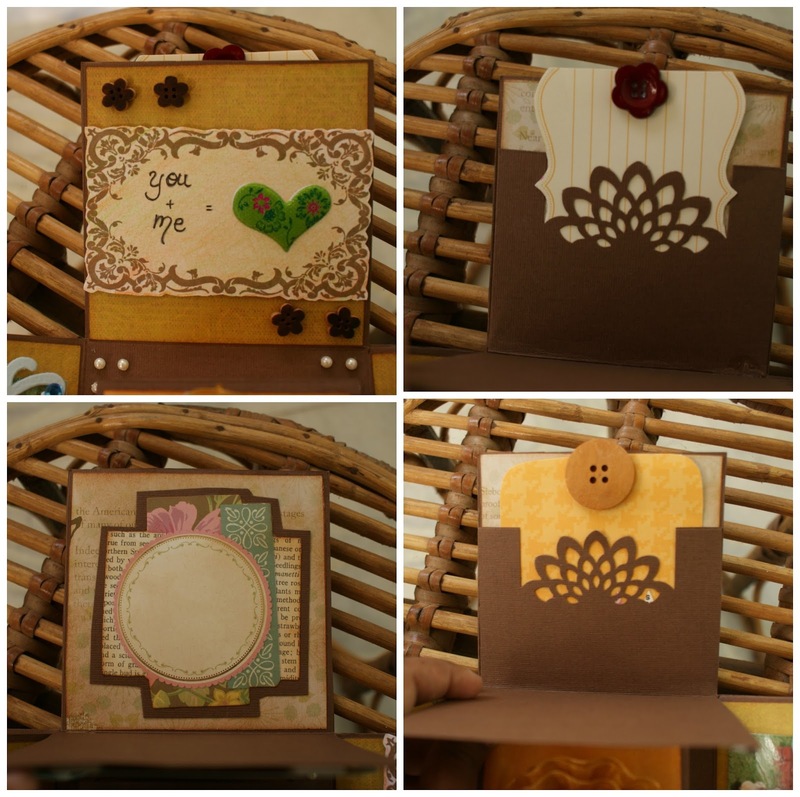 This is just beautiful Sujana ..Your vintage theme explosion box looks fabulous ..I really love the neatness you lend to all your work ..And this explosion box is no exception ..Beautiful embellishing and color choices as well ..Love the rosette on the top !